Consultation to discuss with you various options for filming your ceremony and reception. Attendance at your Church wedding rehearsal to plan camera placement, and to make any necessary arrangements with the officials. Filming the ceremony and reception as required using three professional High Definition cameras and specialist sound recording equipment as appropriate. The final video on DVD using background music of your choice. 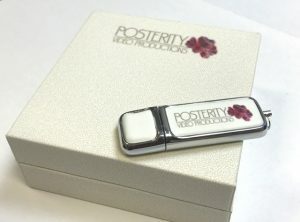 It will have a menu structure to enable you to find specific parts easily and comes in a library case which features images from your wedding video. The duration of your finished ‘Full Day’ DVD will typically be between 1hr 30min and 1hr 50min long, but this depends a lot on the length of your ceremony and speeches. The prices shown are for weddings that take place during this calendar year. They also apply for weddings that will take place next year if they are booked during this calendar year. For weddings taking place beyond next year please allow for a 10% increase over the prices shown here. There is no VAT to be added. Using a selection of your own photos showing the bride and groom from babyhood to present day, I will create a soft montage set to a favourite song that shows the two people as they grow up, find each other and become a couple. I feel that this is a really nice way to introduce the whole wedding day story that follows it. Beautiful scenes of the hair, make-up, the bride and her bridesmaids enjoying a glass of bubbly and a lot of fun that is almost always forgotten in the wake of the big day. These are truly priceless moments. I will take a selection of your key guests somewhere quiet (you tell me who you’d like) and give them a few moments to think about what they would like to say. It is incredible that everyone finds something beautiful and special to say about you and your day, and you will have it forever on your wedding DVD. 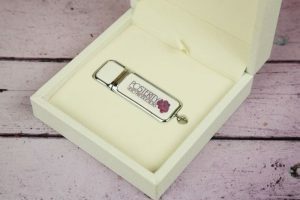 I will edit the key moments of your wedding into a short sequence and make it available online so that you can share your day with distant friends and family. To see how this might look see the short videos on my examples page. This is a very high quality video player that looks just like a book. The cover and inside feature pictures from your wedding, and when you open the cover, instead of pages there’s a 7-inch video screen which starts to play a highlights-edit of your wedding film (with sound) as soon as you open the book. This is the perfect way to show friends and workmates the highlights of your day, anywhere! The internal battery lasts 2 hours of playing and is recharged via USB. 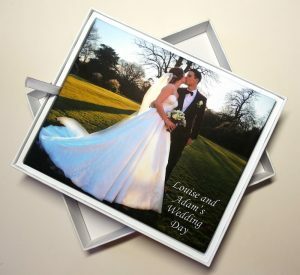 (Please note that the video below featuring the book was made using an earlier version, they are now printed individually with pictures from your wedding on the outside and inside faces, and look so much better than the version shown). If you would like the fun of the evening party filmed I am happy to stay on for as long as you wish. This is for single disc DVDs – if your wedding DVD is nearer to 2 hours long I will put it onto two discs to preserve the quality. This doesn’t affect the cost of the video but additional copies will be £20. I film and edit entirely in high-definition, so I can produce a high-definition Blu-ray disk of your finished video if you wish. There is a set-up charge of £50 to produce the Blu-ray master, and Blu-ray disks then cost £25 each. Please ask if you have any other filming requirements as these can usually be accommodated.